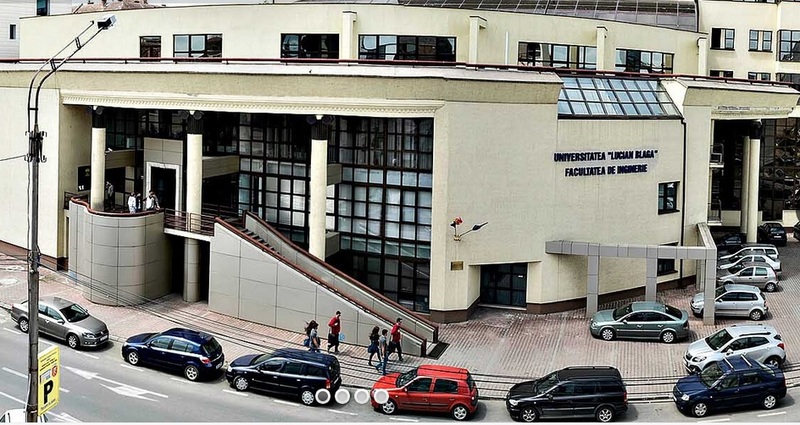 The "Hermann Oberth" Faculty of Engineering is a polytechnic school with a long tradition and great experience which have made it into one of the most important Faculties of Engineering in Romania. Nowadays, it is a functional unit of the Lucian Blaga University of Sibiu. It was legally acknowledged by Act no 88/1993 by the Ministry of Education and Research. Its history goes back to the year 1976 when the Faculty of Mechanical Engineering (study programme: Machine Building Technology) was founded as part of the Institute of Higher Education in Sibiu. Localizat în centrul României, în sudul Transilvaniei, pe malul râului Cibin şi mărginit de Munţii Cibinului, Sibiu este unul dintre cele mai vechi oraşe din Romania. Această regiune este locuită încă din neolitic (6000-1800 î.e.n.). Sub cartierul Gusteriţa s-au descoperit urmele aşezării romane Cedonia. Saşii s-au stabilit aici în sec al XII-lea, jucând un rol important în dezvoltarea economică a regiunii. Pentru a opri ofensiva otomană, au fost construite 40 de turnuri de apărare împreună cu ziduri de fortificare. Oraşul este atestat documentar sub numele de Cibinum, fiind cunoscut ca un important centru mesteșugăresc. Sibiu este oraşul care a păstrat întreaga arhitectură veche, cu străzi înguste şi porţi masive. În anul 2007 a fost Capitala Culturală Europeană, împreună cu orașul Luxemburg. în interiorul cetăţii - Piaţa Revoluţiei, Turnul Sfatului (1588), Palatul Brukental, Casa Artelor, Piaţa Mică, casa Haller, casa Reissner, Piaţa Huet, Pasajul Scărilor, Turnul Scărilor, Biserica Catolică (1726-1728), Biserica Evanghelică, Biserica Ursulinelor etc. în afara oraşului - Muzeul Civilizaţiei Populare Tradiţionale în aer liber ASTRA, Parcul Sub Arini. Sibiu is one of the most important cultural centres of Romania and was designated the European Capital of Culture for the year 2007, along with the city of Luxembourg. https://en.wikipedia.org. Road - Sibiu is an important node in the European road network, being on two different European routes (E68 and E81). 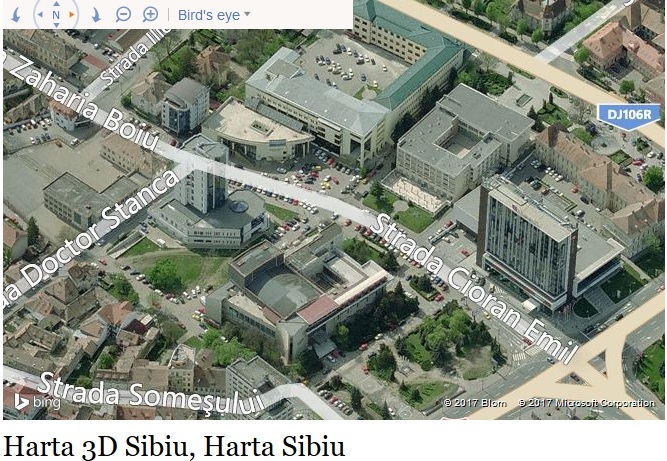 At a national level, Sibiu is located on three different main national roads, DN1, DN7 and DN14. Sibiu Airport -Sibiu has one of the most modern international airports in Romania, with direct connections to Germany, Austria, United Kingdom, Italy and Spain as well as to other Romanian cities. Sibiu (Hermannstadt in German) was the largest and wealthiest of the seven walled citadels* built in the 12th century by German settlers known as Transylvanian Saxons. The riches amassed by its guilds paid for the construction of both impressive buildings and the fortifications required to protect them. Sibiu's Old Town retains the grandeur of its earlier days when rich and powerful guilds dominated regional trade. Like Sighisoara and Brasov, it has a distinctly Germanic feeling. Sections of the medieval wall still guard the historic area, where narrow streets pass steep-roofed 17th century buildings with gable overhangs before opening into vast, church-dominated squares such as Great Square and Little Square. Number 11 bus (to downtown) stops 300 yards away from airport. Romanian currency is necessary to board the bus. For complete bus route and stops please see map at www.tursib.ro/trasee/harta (bus line 11 is shown in purple). There are four daily trains from Bucharest to Sibiu (two in the morning, two in the evening) and several daily trains between Sibiu and Brasov. 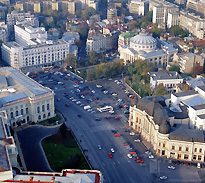 Trains to other major cities in Romania connect in Brasov. For Sighisoara, change trains in Copsa Mica or Medias.